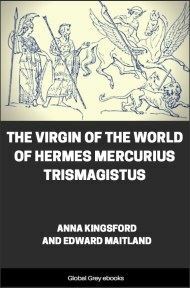 A system of physics according to hermetic philosophy and theory and practice of the magisterium. From the Preface: 'UNDER the auspices of the "Universite Libre des Hautes Etudes" of Paris, a Branch of which has recently been established in America, we publish the first volume of a series of classical works whose study constitutes the foundation of the teaching of the "Faculte des Sciences Hermetiques. It is not without reason that we have chosen Pernety to inaugurate this series. 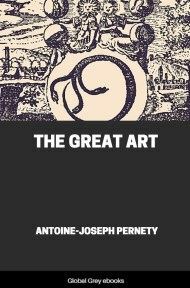 Of the three thousand volumes composing the bibliography of ALCHEMY, those of Dom Antoine-Joseph Pernety are the only ones in which the theories of the Artificers are exposed with method: he is the first and only writer who has endeavored to present a short, concise and complete system of the Magnum Opus.' Includes a list of Alchemical symbols. UNDER the auspices of the "Universite Libre des Hautes Etudes" of Paris, a Branch of which has recently been established in America, we publish the first volume of a series of classical works whose study constitutes the foundation of the teaching of the “Faculte des Sciences Hermetiques. It is not without reason that we have chosen Pernety to inaugurate this series. Of the three thousand volumes composing the bibliography of ALCHEMY, those of Dom Antoine-Joseph Pernety are the only ones in which the theories of the Artificers are exposed with method: he is the first and only writer who has endeavored to present a short, concise and complete system of the Magnum Opus. 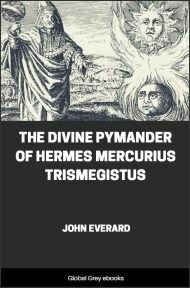 Those valiant defenders of the mystic Faith, to whom we are indebted for the present universal awakening of Idealism, have not failed to recognize the important role which Hermetic Philosophers have played in the preservation and transmission of the sacred tradition regarding the rapports existing between God, Man and Nature. Unhappily they have found themselves face to face with the Sphinx, unable to solve the enigma; they have lost their way in the inextricable labyrinth of apparently contradictory symbols and signs, and in the darkness of their ignorance, they have been incapable of distinguishing Truth from the rubbish that surrounds it, or of separating pure physical facts from mere mystical speculations. 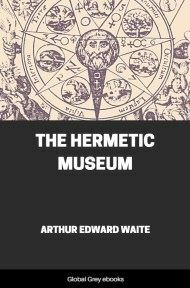 Having a vague intuition that Hermetism was not solely concerned with the transmutation of metals, but also with the spiritual emancipation of Man, they have profited by a few analogies which presented themselves, and have created a mystical Alchemy in which the inner man is the exclusive subject. But while such interpretation may, in many instances, be applied to alchemical symbolism, and while we may believe that in this we follow the traditions of the Rosicrucians (who founded a system in which Alchemy and Kabbalah were indissolubly blended), modern commentators, borrowing the jargon of the Alchemists - who are never more obscure than when they appear to express themselves plainly - have drawn analogies which a mere acquaintance with the fundamental principles of Physical Alchemy would suffice to cause to be rejected as utterly devoid of appropriateness. Rosicrucians were indeed mystics, but their studies were above all of a purely physical and experimental character; their association of mysticism and chemistry was founded upon analogies the truth of which could be demonstrated in the laboratory and duly verified by the physical senses. No metaphysical proposition was accepted by them which could not be fully confirmed by scientific demonstrations, according to the practice of Roger Bacon, the father of the experimental method. Alchemists acquired the knowledge of Divine operations by the study of human arts and the observation of natural phenomena. 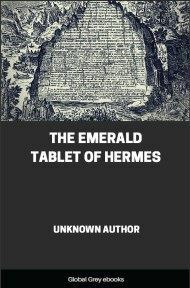 Hermetism begins with the study of the operations of Nature, and ends with the knowledge of the Divine Principle. None, however, must hope to behold the secret Sun of this Royal Art while he remains in darkness regarding the fundamental principles of physical Hermetism, or Alchemy. The Spagyric Art is a dead science; it has long since uttered its last word; nothing remains but a few tracts, fragments of its outer vestment, and a multitude of worthless lucubrations by pseudo-adepts; the secret is lost, for future generations to recover; but, in order to be freed from the trouble of ransacking dusty old books and manuscripts, and of reconstituting, word after word, this science in its integrity by patient research; in order to avoid the tedious work of deciphering the hieroglyphic pentacles and of restoring the secret meaning of the mutilated tracts of the Masters which have reached us through the centuries, one is not permitted to invent a new Hermetism, to enlarge it, or to attribute to it a signification which, most probably, it never had. Hermetism is what it is, and we must accept its teachings for what they are worth, without trying to reconcile them with the assertions of modern science, or to give to them any signification that may suggest itself. 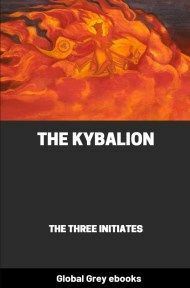 Hermetic Philosophy has long since been rejected by the School, and scientific means of investigation are here of no practical use, even XIXth century chemistry offers no clue; for the ideas of the Spagyric Art are absolutely the antithesis of those of official chemistry. The student must make use of other means; but let him guard against preconceived ideas, against his ardent desire to verify, in the obscure symbols of medieval Artists, his own suppositions. Let him remember that Symbols prove everything, and that the signs chosen to defend the affirmative of any proposition, may also be used successfully in demonstrating the negative of the same proposition; symbols are the expression of the Absolute which is neither positive or negative, but positive and negative, according to the point of view from which one judges. Thus, in order to distinguish the right way, “which leads to the Elysian Fields,” from that “which borders Tartarus,” the assistance of a trusty guide is indispensable. Unfortunately such guides are few, and if, perchance, one is found, the student, ninety-nine times in a hundred, far from being willing to follow in silence, prefers to choose his own way. 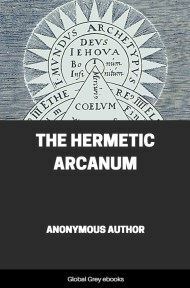 If the student depends upon his supposed willingness to obey his Initiator, let him shut this book and renounce his plan of lifting the veil which covers the arcana of Hermetic Philosophy, for unprepared as he surely is, he will either fall a victim to impostors, or fail to acknowledge with gratitude the heavenly gift of a Mentor.